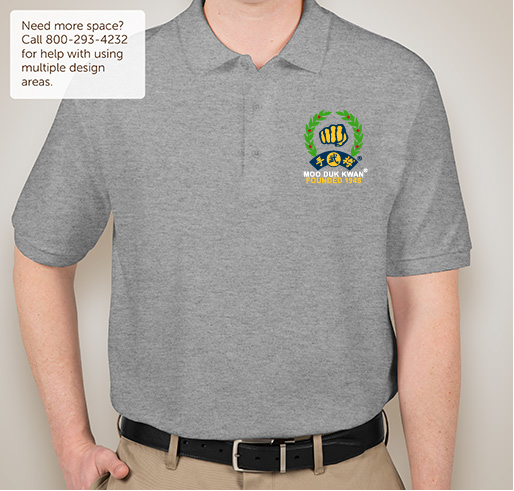 Order Your Authentic Licensed Moo Duk Kwan® Apparel In Popular Name Brands Today! All funds raised will be paid directly to United States Soo Bahk Do Moo Duk Kwan Federation for pursuit of 501(c)(4) non-profit organization mission..
First time ever available: High quality Gildan Double Pique Polo shirts for guys available in six amazing colors embroidered with Official Licensed Moo Duk Kwan® logo. Your support of this campaign will be added to the support of thousands of others before you who have helped preserve the legacy of the Moo Duk Kwan® martial art organization founded by Hwang Kee in 1945 and chartered in the USA since 1976. Today his son and appointed successor, H.C. Hwang, serves as the Moo Duk Kwan Kwan® Jang Nim and President of the World Moo Duk Kwan and U.S. Federation. We invite you to acquire one of these authentic, limited edition symbols of your strong support of the Moo Duk Kwan® values of history, tradition, philosophy, discipline-respect and technique. Thank you in advance for your support. In 1945 Hwang Kee founded his 1st Moo Duk Kwan® school in Yang San Ku, South Korea. He quickly became known as a martial arts prodigy and his organization became the most prominent in Korea. In the early 60's American servicemen returning to the USA after the Korean war brought the training they received in his Moo Duk Kwan® schools back to the USA. In 1975 Hwang Kee organized the United States Tang Soo Do Moo Duk Kwan Federation® as the only source in the USA for legitimate certifications from the Moo Duk Kwan®. In 1996 the organization changed its name to the United States Soo Bahk Do Moo Duk Kwan Federation® to better emphasize its mission of preserving Hwang Kee's Korean Soo Bahk Do® martial art system. By 2015 more than 250,000 registered members had passed through Moo Duk Kwan® Certified schools in the USA and over 50,000 have earned the rank of Dan (midnight blue belt ~ black belt) and been issued a legitimate Moo Duk Kwan Dan® Bon identification number. 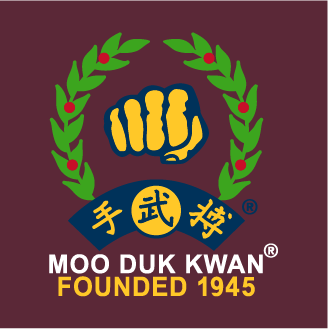 In 2015 the United States Soo Bahk Do Moo Duk Kwan Federation® won a permanent injunction and sizeable damages award in a federal court lawsuit with a decision against trademark infringers who were seeking to use the Moo Duk Kwan® name for their own gain. The federal court victory by the United States Soo Bahk Do Moo Duk Kwan Federation® once again confirmed that there is only one Moo Duk Kwan®. The items offered during this campaign are authentic Moo Duk Kwan®, not counterfeits or knock-offs. For those who value authenticity, legitimacy and letting others know that you have a connection to the Moo Duk Kwan®, we invite you to acquire one of these limited edition apparel items exclusively licensed by the Moo Duk Kwan® for the discerning few who acquire them during this limited time campaign. Because it's the Moo Duk Kwan that I love! To sustain the art I've studied and enjoyed and to sustain KJN's vision. 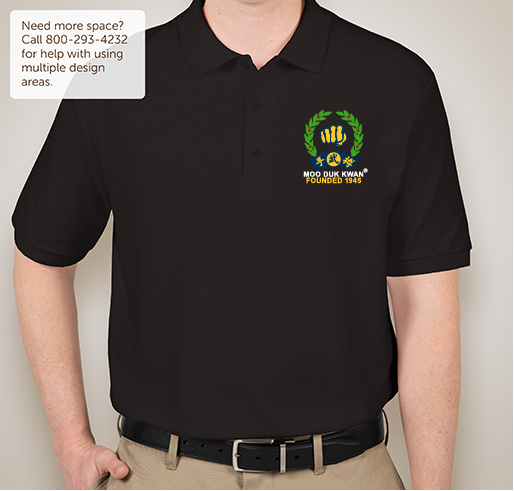 Share Why You Support "Guys High Quality Gildan Brand Polo Embroidered With Moo Duk Kwan® Fist Logo and Founded 1945"